When you think of the holiday season, what scents come to mind? If you said Pigs in Blankets, Cheesy Cheese and Texas BBQ, today is your lucky day. Pringes, who built their reputation on distinctive cylindrical containers, came out with a new type of circular product this year: scented candles. And each candle comes in one of the three aforementioned savory smells that don’t quite seem to match up with the holiday spirit. 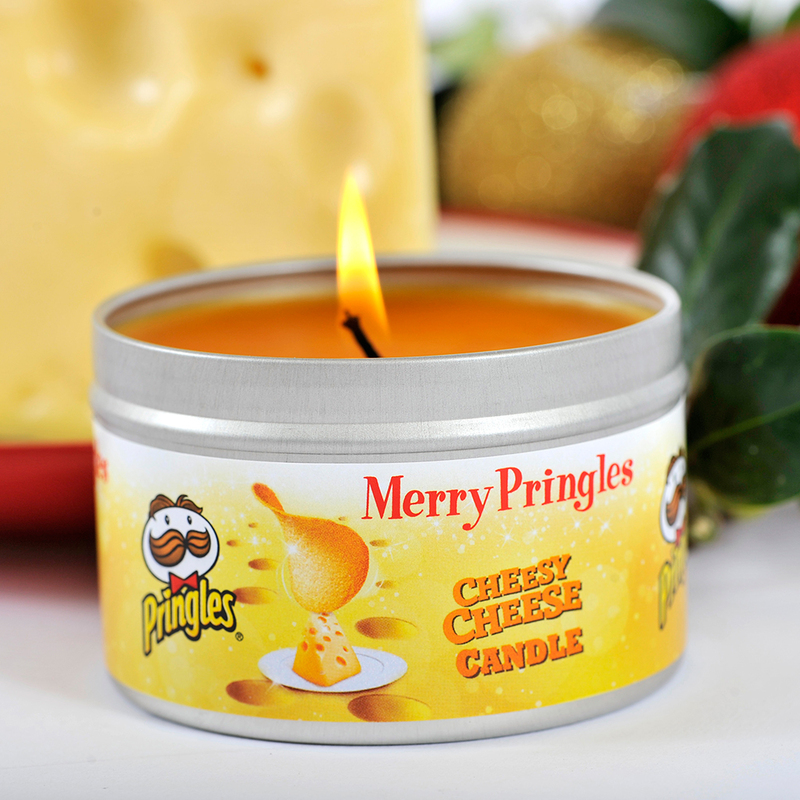 Still, a company spokesman said December is the perfect time for Pringles to try out novelty products. “Sales of Pringles soar by almost 150% at Christmas time when everyone’s enjoying parties and catch-ups with their friend and family,” said brand manager Louise Thompson. It’s also the time of year when consumers seem to be down to buy almost anything, regardless of how ridiculous, so maybe Pringles has a point. But getting your hands on one of these might prove tricky. Beyond only being available in the UK, according to Mashable, the company started with a limited test run of just 500 candles, all of which were sent to buyers at large British retailers. However, Pringles says that assuming this year’s test gets a good response, they’re planning a much larger rollout for 2016. For me that raises the question: Why is Santa even bothering to come this year then? !